When we think of segregation, what often comes to mind is apartheid South Africa, or the American South in the age of Jim Crow—two societies fundamentally premised on the concept of the separation of the races. But as Carl H. Nightingale shows us in this magisterial history, segregation is everywhere, deforming cities and societies worldwide. Starting with segregation’s ancient roots, and what the archaeological evidence reveals about humanity’s long-standing use of urban divisions to reinforce political and economic inequality, Nightingale then moves to the world of European colonialism. It was there, he shows, segregation based on color—and eventually on race—took hold; the British East India Company, for example, split Calcutta into “White Town” and “Black Town.” As we follow Nightingale’s story around the globe, we see that division replicated from Hong Kong to Nairobi, Baltimore to San Francisco, and more. The turn of the twentieth century saw the most aggressive segregation movements yet, as white communities almost everywhere set to rearranging whole cities along racial lines. Nightingale focuses closely on two striking examples: Johannesburg, with its state-sponsored separation, and Chicago, in which the goal of segregation was advanced by the more subtle methods of real estate markets and housing policy. For the first time ever, the majority of humans live in cities, and nearly all those cities bear the scars of segregation. This unprecedented, ambitious history lays bare our troubled past, and sets us on the path to imagining the better, more equal cities of the future. A Subtler Sort of Segregation? A New Century of Settler Segregation? "This study of the segregation of the world’s cities by race since the eighteenth century is an extraordinary achievement. Its scope is truly global, extending from urban Africa and Asia to the cities of the Americas and Europe and synthesizing in the process a vast literature. Through this prism Carl Nightingale weaves a history which brilliantly links the big themes of empire, migration and racialization to the microanalysis of place and space in cities such as Johannesburg, Calcutta, and Chicago. By reconnecting urban history with the history of race in a genuinely global perspective he creates a new fusion that adds enormously to our understanding of how cities became--and were maintained as--sites of segregation and exclusion." "This is a book of genuinely global sweep, traversing continents and millennia of human history. Yet it is also a wonderfully detailed and nuanced work of archivally based history, particularly in its later chapters, which offer fine-grained accounts of the elaboration of segregationist ideology and practice in two specific cities, Chicago and Johannesburg. This is a terrific book: original, important, and astonishingly broad-ranging." "Carl H. Nightingale has written a book of enormous ambition--and accomplishment. Moving between broad patterns and local detail, he has produced a global history of modern coerced racial segregation from its imperial origins to postwar suburbanization. It is a history marked by moral passion, clarity of thought and expression, and extraordinary research on all continents. 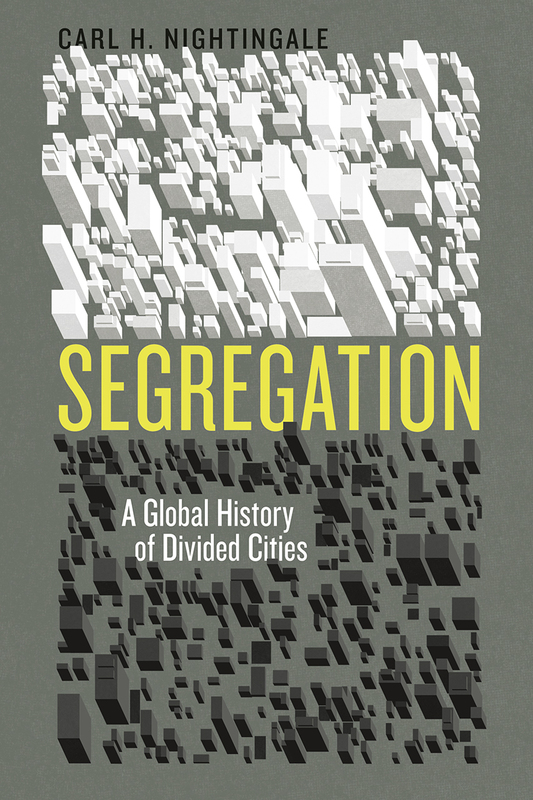 His rich and powerful argument is that segregation has not only been a global fact but also the result of transnational ideological connections, economic practices, and government policies." "Most of us live in cities shaped in part by segregation, but urban segregation is usually studied in particular cases. Carl Nightingale adopts a world history perspective and ranges from Calcutta and Johannesburg to Chicago and other places. His book is a major contribution to both the study of segregation and comparative urban studies."